Invisible Illness Awareness Week has just ended. 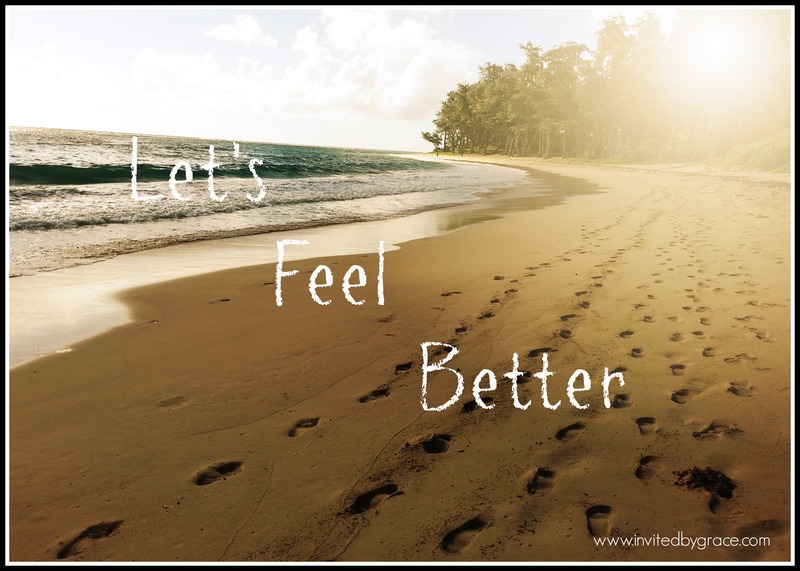 I’m a little late in writing this, but this is a post especially for those living with chronic illnesses such as Lyme Disease, Chronic Fatigue, Fibromyalgia, autoimmune disorders, and other related conditions. I just want to say again, in what can seem so very dismal, that there is hope. Some say the key to getting better is to not give up, to not give in, to keep trying — but realistically, there’s only so much holding on and pushing through one can do before total exhaustion sets in. But the last two weeks have reminded me that sometimes, it really is worth it to push through and try again. I’m actually feeling better these days, somehow stronger! I’m feeling positive, hopeful, and more in tune with my body. Lauricidin is pure monolaurin derived from coconut oil. It’s a natural, plant-based medium chain saturated fatty acid that is helpful for your immune system and your digestive tract. On a bit of whim, I decided to re-start this two weeks ago, and it has really been helpful this time around. I honestly can’t say this about too many supplements! I started slow with just a few pellets three times a day. Now I am up to a full scoop three times a day! 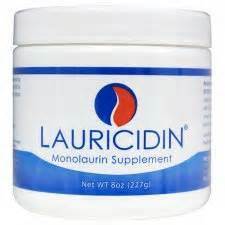 Lauricidin has antiviral, antifungal and antibacterial properties. It’s affordable and the whole family can use it! I know there is some debate as to whether it’s necessary to supplement with Vitamin C. I was skeptical too about the hype around mega doses of Vitamin C. But after doing some research, I do feel like there are some benefits to liposomal Vitamin C for those with chronic illnesses. (Take a look at Dr. Levy’s Curing the Incurable where he discusses the effectiveness of liposomal Vitamin C and Vitamin C IV.) I’ve been taking this brand of Vitamin C on and off over the last year — some days, I’ll take several packets. I like that it’s easily absorbed and utilized by the body. It also assists with muscle repair and soreness, replenishes energy levels and maintains overall health. Be warned — it won’t win a taste test. So chase it down with a large glass of water! 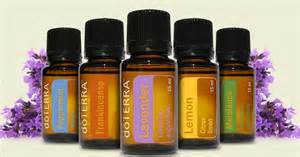 doTERRA essential oils have been my mainstay. I use them to help balance my autonomic nervous system and ease all that mommy stress. It’s very refreshing and uplifting when I diffuse peppermint and lavender in the house — if I can’t get to the spa, I’m bringing the spa to me, gosh darn it! 🙂 I am thrilled that therapeutic grade essential oils actually have antibacterial, antifungal, antiviral, and anti-inflammatory properties too. Oh sleep. Sleep is both an enemy and a friend. For my sanity, I need the down time after the kids are finally in their beds; but for my health, I need to be asleep by nine. A good night’s sleep CANNOT be underestimated though. I am learning to shut off my phone and fold down the laptop at night. It’s not easy, but I’m working on it. Last year if someone told me deep breathing could actually help me heal, I would have totally scoffed at that idea! But it’s foundational — almost so simplistic that it’s just missed. Deep, slow abdominal breathing is crucial, especially when your body is under constant stress. I am trying to be much more mindful about this. However it is possible, it’s good to keep moving. Even for just a few minutes a day. Even if it’s something recumbent. I find that walking and rebounding on a mini trampoline is most helpful for me … however, there’s such a thing as doing TOO much, and it can backfire and trigger more symptoms. For now, walking 3-4 times a week is my goal. I used to push myself to be like “other moms.” I would literally drag myself and the kids all over the place until I was beyond empty (and not to mention, not so cheery by the time my husband came home). I was afraid of limits, because I didn’t want to be seen as different. But when I finally understood that my kids need a mom, not Wonder Woman, it gave me permission to sit out, rest, and respect my own pace. So if we eat on paper plates all week and my son brings store-bought cookies to his school party and I still haven’t been able to organize this house — so be it. There is grace for our limits! Becoming healthy is much more than eating kale and drinking beet juice, unfortunately. Emotions, thoughts and attitudes are powerful and unwieldy forces at times, and they affect everything. I confess, I have to adjust my attitude like, all the time. Oh yes, I am so guilty of letting my thoughts and feelings run amuck in unhelpful, detrimental circles. But I’m learning, slowly, how to hold every thought captive. Because there is definitely a battle in our minds — a moment-to-moment war in our thoughts. Every moment we make decisions to dwell on hope or despair, God’s truths or the world’s lies, anger or peace. So lately, I’ve been asking God to not only strengthen my body, but to sanctify my thought life — to fill my mind and heart with whatever is honorable and worthy of praise, and to cast out all else. Whatever is honorable, whatever is right, whatever is pure, whatever is lovely, whatever is of good repute, if there is any excellence and if anything worthy of praise, dwell on these things. I hope this helps. 🙂 Be well.